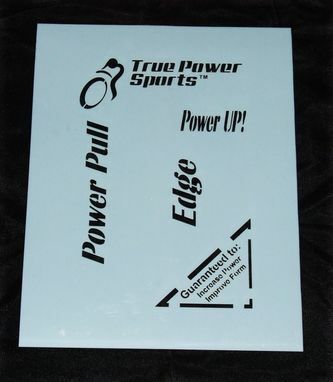 A 7.5mil mylar stencil was made using a customers drawing which was modified into a stencil format. Mylar stencils are reusable. Stencils can be made upto a size of 12x24 inches for a single stencil and any size for stencils that are puzzled together. Customer intends to use the stencil to paint logo on shipping boxes.